Is Dandelions Future Rubber Biotechnology? 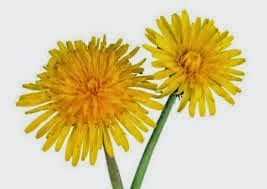 Dandelions often referred to as an annoying weed. But something good is found now. This undemanding plant has now becoming the focus of attention of the rubber-producing industry. Researchers have discovered that dandelions have key components that they can use for rubber production. Dandelions are the common name of the plant Taraxacum. They are native to North America and Eurasia, but a few species have become global weeds. The rubbery stems of dandelions are packed with a sticky and milky fluid often referred to as latex. This fluid is produced by specialized cells within the dandelion stem that pump out globular particles filled with polyisoprene, the main component of rubber. Researchers at the Institute for Molecular Biology and Applied Ecology (IME) at Germany's Münster University discovered the protein contained within a fluid located in the plant. They demonstrated, using the example of Russian dandelion, Taraxacum kok-saghyz, there is one special protein (called rubber transferase activator) which plays a key role. If the formation of the protein is prevented then no rubber is formed. 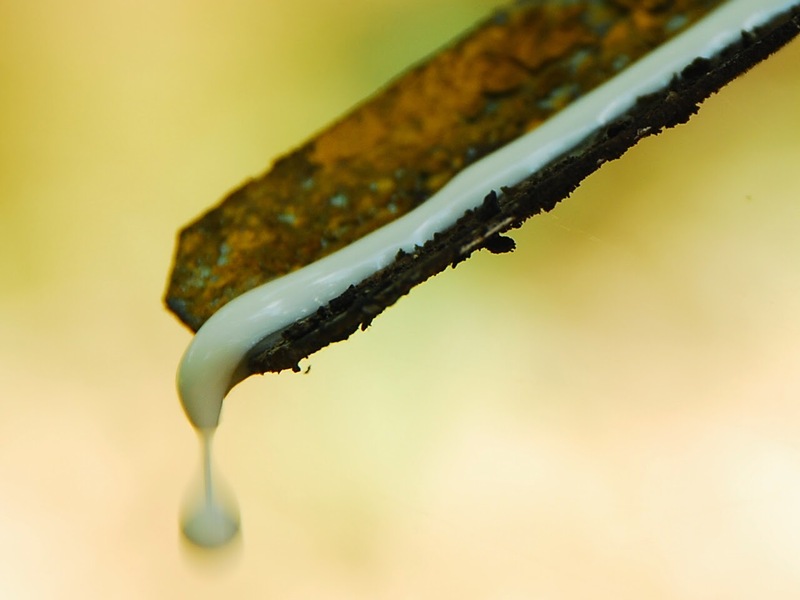 The scientists assume that the protein is necessary for the formation of the rubber-producing protein complex. They also identified an important protein which plays a key role in the formation of the long polyisoprene chains. These polymers give the rubber its typical properties,its elasticity and resilience. The identification of a key protein in dandelions makes natural rubber's biotechnological production closer to reality. Rubber trees, growing mostly on Southeast Asian plantations, are sensitive plants - giving the optimal yield of raw rubber only under ideal atmospheric conditions, an equal distribution of rainfall and bright sunshine, with the absence of strong winds. They are also extremely sensitive to a plant disease that has devastated rubber plantations in the tree’s original habitat, South America. On the other hand, Dandelion, are tough weeds, that grow, even in poor soil, and are not overly sensitive to a changing climate. Russian dandelions can be cultivated from “marginal land,” previously unusable for agriculture. Synthetic rubber has been around for more than a century, but quality tires for cars, trucks and aircraft still need up to 40 percent or more natural rubber content. As the source of natural rubber, the rubber tree, is prone to disease and can be affected by bad weather. So this will be a new alternative. While dandelions are quicker to grow than rubber trees, pulling dandelions out of the ground and bashing up the roots to extract latex involves more processing steps than does tapping the bark of a rubber tree. To bring down production costs, genetic modifications can improve rubber production in dandelions. We can hope that the dandelions could put the rubber industry through a cost-cutting revolution, and one day, rubber plantations will be a thing of past, and unused sols will be covered by rubber producing yellow flowers. 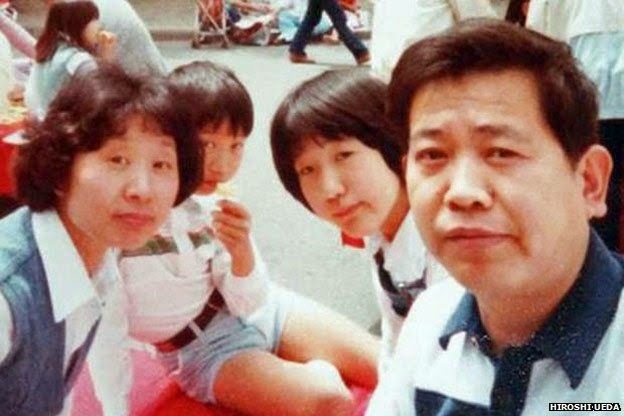 Although you might think the selfie stick has been around for only a couple of years, an early selfie stick, perhaps the first, was invented in the 1980s by Hiroshi Ueda. Hiroshi Ueda, a photographer who worked as an engineer for camera company Minolta, came up with the idea after struggling to get pictures of himself and his wife together while they were in Europe. He called it “telescopic extender stick” so he could take shots of himself and his family using his film camera. A telescopic extender for supporting a compact camera includes a head member to be attached to the camera, a grip to be held and a telescopic rod member connecting the head member to the grip. A screw member is supported by the head member in a manner that the screw member is rotatable about the axis perpendicular to an extending and collapsing direction of the telescopic rod. The grip can accommodate there in the telescopic rod when the telescopic rod is completely collapsed. The extender was patented in 1983 but it didn't become a commercial success, as it was thought to be an "unnecessary" invention. The same idea has been reinvented multiple times with the introduction of the digital camera, the smartphone camera, Bluetooth technologies, and then online photo sharing services. Modern versions of the extender stick allow a smartphone to be held aloft and use a remote trigger to take the photograph or video. Thirty years later selfie sticks are now hugely popular, Canadian toy and gadget inventor Wayne Fromm takes the credit for this. He developed the Quik Pod, a hand-held extendable selfie stick in the early 2000s. He was unaware of Ueda's earlier design, though he too came up with the idea during a European holiday. The main difference between Ueda’s extendable stick and its modern-day counterpart is down to the state of the technology available at the time. Unlike today’s smartphones, film cameras had no way of showing selfie shooters like Ueda what kind of picture he was taking, so to overcome the issue, one of the designs included a camera with a small mirror on the front, close to the lens. Another factor is the portability of mobile phone cameras - traditional cameras were simply too heavy to put on the end of a long pole. Aimed at the adventurous travellers, Fromm’s product is impervious to sand and water and has all sorts of extras, like quick-release heads - to avoid the indignity of answering calls with the selfie stick still attached. While consumers can now choose from a wide variety of selfie sticks, the inventor says his Quick Pod comes with unique features that the competitors don't have, including a quick release, built in mirror, and high-quality materials. Besides popularity, selfie sticks continue to have their critics. They say selfie sticks are obnoxious and potentially dangerous. Sensing a new market, several companies have launched devices designed to streamline the selfie-taking experience. 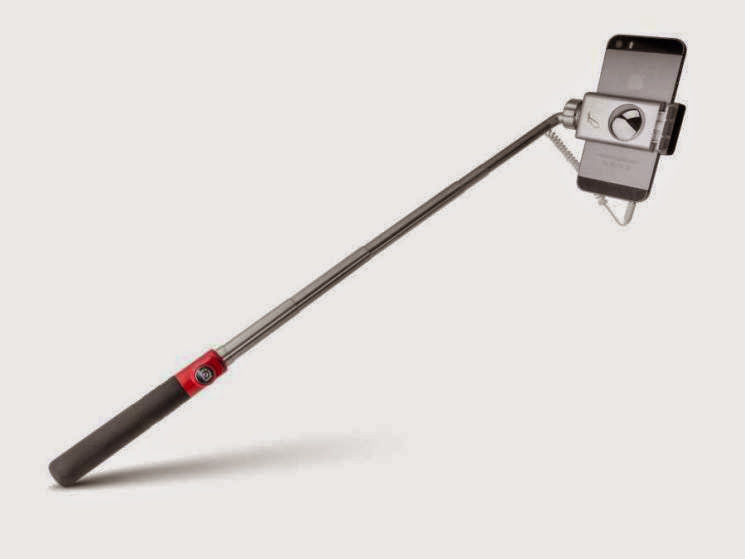 The selfie stick (produced by multiple brands), which enables users to position their smartphone beyond arms’ reach to get better photo angles. Long before digital cameras even existed, the selfie stick was kicking around. 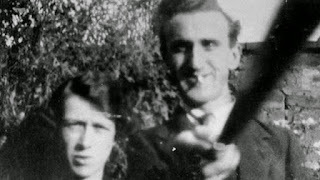 This figure shows 90-year-old photo of a couple seemingly taken from a camera mounted on the end of a stick. . Arnold Hogg is the first person in recorded history to make use of what we now call a selfie stick. In short, no one "invented" the selfie stick. It rose out of the primordial ooze, like our slithering forebears, in response to an unambiguous and universal need for it. Selfie stick is so brilliant that its designer is totally unimportant. It solves a complex problem, a problem that plenty of major technology companies have failed at solving, with the dumbest and most logical solution out there. Please Have a Nap Before Exams. Late night studies, gallons of coffee followed by anxiety attacks were the study tools for student’s day before exam. Students don’t worry , there is a better tip for scoring … Take a short nap … The Researchers at Saarland University in Germany have found that a power nap of just 45 minutes can boost memory by five times. A short doze helps you to retain information you have learned and significantly improves recall, scientists said, meaning naps really could help students revising for exams. 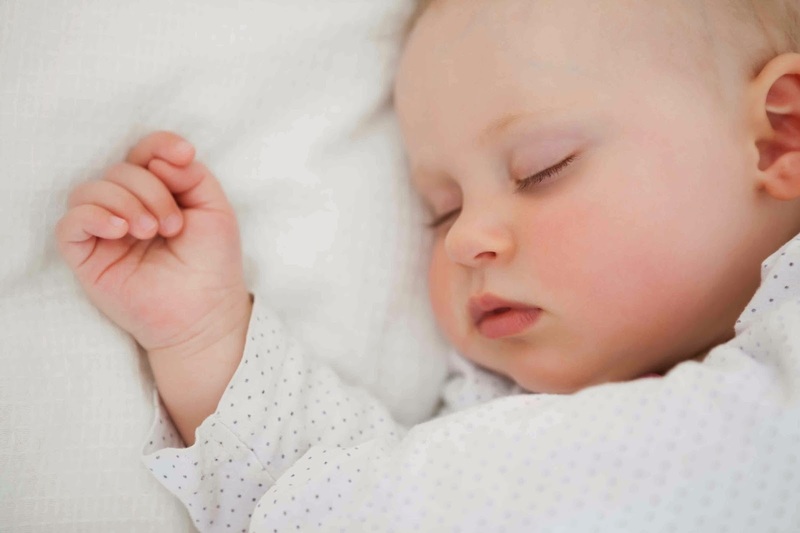 The scientists said that during sleep, bursts of brain activity known as sleep spindles, a rapid series of peaks on EEG, play an important role in consolidating newly learned information. For the sleep study, the researchers tested the memory of 41 volunteers who had been asked to remember specific words and word pairs. Then, half of the participants took an hour long nap while the others watched a DVD. Afterward, they were retested for their memory of the words. In addition to revealing that those who enjoyed a little snooze performed five times as well as those who hadn't, the results showed that the volunteers' post-nap memory was just as good as it had been before the nap. The researchers examined brain activity to determine how naps seemed to improve memory. The hippocampus, a brain region known to play a role in memory consolidation, transfers learned information into long-term memory storage after the information is learned. Electroencephalogram (EEG) tests revealed that the brain's activity during sleep seems to supercharge the hippocampus's ability to consolidate information. ‘A short nap at the office or in school is enough to significantly improve learning success. Wherever people are in a learning environment, we should think seriously about the positive effects of sleep,’ says Axel Mecklinger. Lack of sleep is known to increase the risk of some diseases like heart disease, diabetes and obesity. Sleeplessness at work is a big problem. Studies have affirmed that short naps can improve awareness and productivity. Napping can be seen as a quick reboot or boost for the brain. When you take nap longer than 30 minutes, you end up in deep sleep, that’s why you feel groggy and almost more tired while you take long naps. The researchers still don't know why some memories are strengthened during a short nap while others aren't. Short naps were not associated with improvement in item memory, the ability to remember phone numbers, for example, or a friend’s name, the team says. According to the researchers, these findings suggest that a short nap can significantly boost associative memory, ability to recover a memory associated with a place or event, a link between items that are unrelated, such as the name of a person we have just met. Taking the right kind of nap depends on your goals. For the office a 10-20 minute offers light sleep, giving you a boost of energy, while an hour-long nap, which involves slow-wave rest, consolidates memory, good for students. As our day wears on, even when we get enough sleep at night, our focus and alertness degrade. The naps are a great way to relieve stress and to boost mood and productivity. A nap can rekindle your alertness and have your neurons back up and firing on high in as little as 15 to 20 minutes. This research suggests that a little midday shut-eye can bring a dramatic improvement in our ability to retain information.